Goodwood - F1 Winner Gerhard Berger To Race BMW At #74MM! F1 Winner Gerhard Berger To Race BMW At #74MM! We’re thrilled to announce that motorsport legend Gerhard Berger will be back behind the wheel of an iconic BMW touring car at the Members’ Meeting on March 19-20. The Austrian, who raced for the Munich marque in the European Touring Car Championship in 1986, will share an exact replica of the Luigi 530i with former BMW team-mate Emanuele Pirro in the two-driver Gerry Marshall Trophy for Group 1 saloons of the late-1970s and early ’80s. Berger’s association with BMW goes back more than 30 years, to when he campaigned a BMW Italia 635 CSi in the 1984 Spa 24 Hours alongside Roberto Ravaglia and Manfred Winkelhock. At the time, he was a European Formula 3 Championship race winner and was just a few weeks away from making his F1 debut, with the BMW-powered ATS squad in his home Grand Prix. A year later, then a full-time Arrows-BMW driver, he won the Belgian tin-top classic, this time with the crack Schnitzer-run BMW Belgium squad alongside Ravaglia and fellow F1 driver Marc Surer. In 1986, as well as taking third at Spa in a 635 alongside Pirro, he gave BMW power what would be its last F1 win for 15 years, thanks to victory for Benetton in Mexico. Many years later, he would return to the BMW fold, this time as its Competitions Director, overseeing the firm’s return to F1 as an engine supplier with Williams. 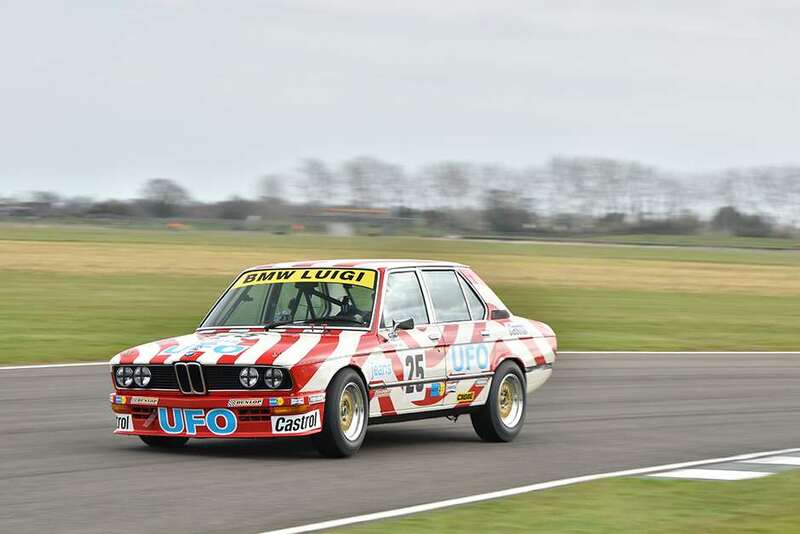 The 1977-spec 530i was campaigned in the ETCC and retains its distinctive UFO Jeans livery. At last year’s 73rd Members’ Meeting, Pirro and the car’s previous owner, Phil Perryman, took sixth in the Gerry Marshall Trophy despite having had very little testing. With the car now in the ownership of the Sadler family and with 10-time Grand Prix winner Berger added to the driver strength, it’s expected to be more competitive among the fastest of the Chevrolet Camaros, Rover SD1s and Ford Capris. Berger is no stranger to the Goodwood Motor Circuit, having raced a bike in the Barry Sheene Memorial Trophy, as well as Adrian Newey’s Jaguar E-type Lightweight and Grahame Bryant’s AC Cobra in the RAC Tourist Trophy Celebration race at the Revival Meeting. Five-time Le Mans 24 Hours winner Pirro, a superstar of the Goodwood meetings in whatever he shoehorns that infectious smile into, will tackle the Saturday qualifying race that determines the grid for the two-driver race, before being reunited with his 1986 team-mate Berger the following day. 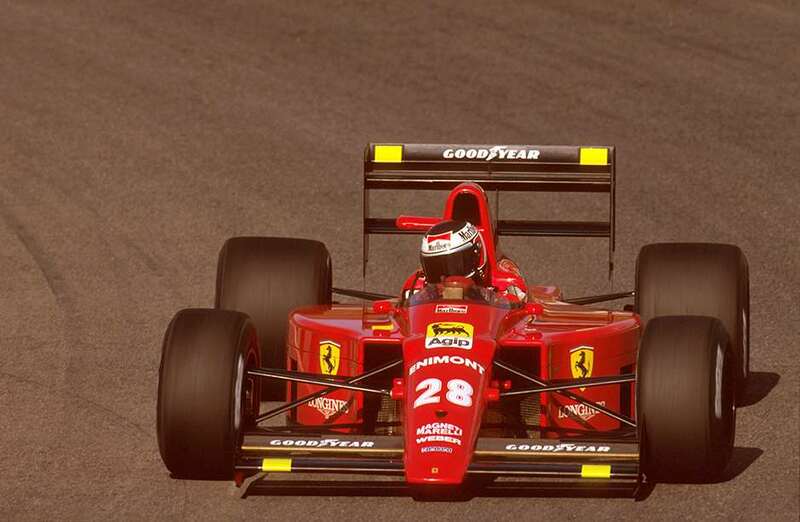 With big-name Berger, one of the great characters of F1 from the 1980s and 1990s, and a winner with Ferrari and McLaren, returning to Goodwood in just a few weeks, it’s time to dig out those cameras and autograph books. You can be sure that as well as demonstrating that god-given talent and competitiveness when it comes to the racing, Gerhard and Emanuele will be out to have some serious fun, too. Tickets for the 74th Members’ Meeting are still available to GRRC members, and non-members who have missed out on tickets will be able to watch the whole event live on Goodwood Road and Racing. 74th Members' Meeting – Full Entry List! #74MM Non-Member Tickets Sold Out!